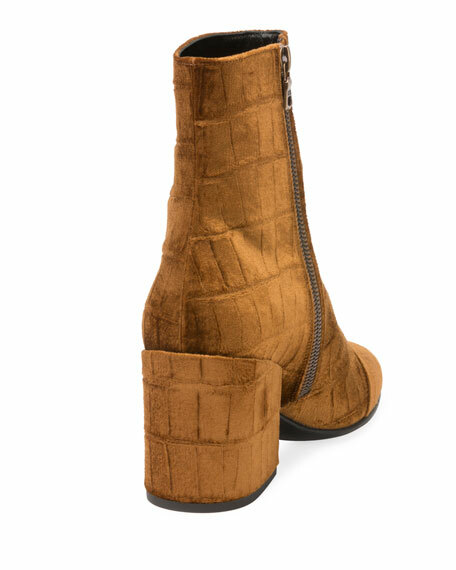 EXCLUSIVELY AT NEIMAN MARCUS Brunello Cucinelli shiny python snakeskin bootie. 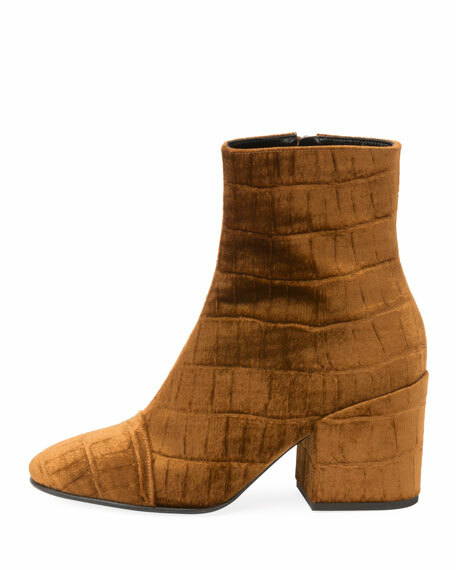 4" covered block heel. Square toe. Metallic cashmere-blend knit side gore. Pull-on style; pull-tab at back. Leather lining. Smooth outsole. Made in Italy. Python cannot be sold or shipped to California. 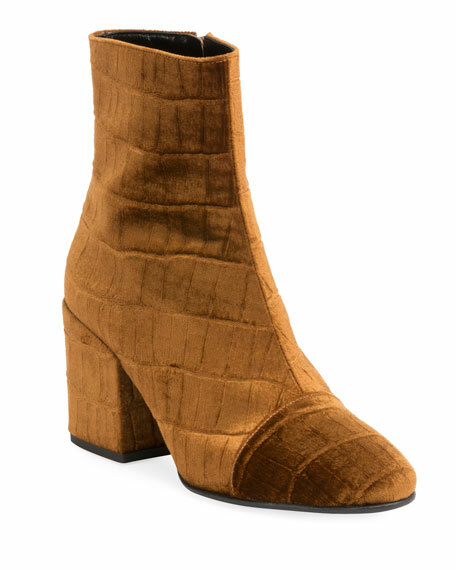 Leopard-print double-face sheepskin suede Ugg boot. Dyed lamb shearling (Australia), 100% UGGpure?? wool, or mixed shearling and UGGpure?? wool lining.